HOW I GOT THIS BOOK: I thank WritersMelon for this review copy. What made him a serial killer? Was he born with homicidal tendencies? Did a harrowing childhood render him criminally insane? The questions haunt, Additional Commissioner of Police, Maithili Prasad as she discovers the horrific murders across Mumbai. As she spearheads the greatest manhunt in Mumbai’s history, she’s determined to contain the reign of terror unleashed by the ruthless serial killer. But before that she must grapple with her personal demons that surface to plague her with self-doubt. Just as it seems that Maithili has begun to understand the deep-rooted resentment that drives the serial killer, he turns around and makes her the object of his revenge. Will she emerge unscathed from this ordeal? 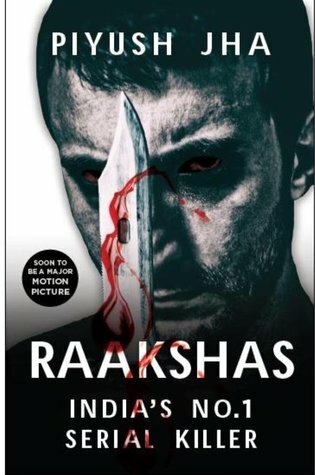 This thrilling narrative of a serial killer’s life and the unusual and challenging investigation to catch him, uncovers a chilling trail of unspeakable torment and cruelty—the tale of… Raakshas. The cover seemed chilling enough. The simple mugshot of a man with a bloodied knife and bloodshot eyes felt very apt for the title. Raakshas - a demon, devil, someone ruthless. Having already read a previous work of the author, (Anti Social Network), I thought I knew what to expect. The blurb about a troubled female police officer trying to track a dangerous serial killer and ending up being on his hit list seemed strangely generic but also left enough options open for different interpretations. I took the 'Soon to be a major motion picture' tag with a pinch of salt. That is not a deal clincher in my opinion. There are very few books that manage to hook the reader into the story in page one. Most books try, though. The story promises to be about India's number one serial killer, a man who is everyone's nightmare, a man who makes people afraid to even walk on the streets. The beginning though, is not what one would expect from such a book. Having read about serial killers in many previous books, I had assumed this book would also begin with a chilling murder and set the tone for the story. Instead, it begins with the birth of a child who would one day terrorise the city. The second chapter though, again begins with the birth of another character. By this time, I had trained my mind to expect the journeys of both these characters penned in the chronological order to and after the point where their lives cross. No. It does not do that, not exactly. But it does that, in one way. The previous few lines are examples of how the story has been sequenced in this book. What started out with great expectations faltered in the way it was presented. I would not go so far as to say it ruined the story and premise, but all through the book I had a nagging feeling that with proper presentation this could have been even better. Maithili Prasad, a cop with a troubled past, an officer who keeps insisting that murders happening in the city are the work of a serial killer and doggedly follows that line. The highlight of the book is easily the background story of the serial killer. It does not sympathise with the killer as is, nor does it justify the actions he has committed. But it does give us a little insight into what makes serial killers. Are the parents to blame? Or is it the society? What makes a normal human into such a developed version of a psychopath that he takes pleasure in killing other people? What makes a man think being 'Mumbai's number one serial killer' is an achievement he needs to obtain? The book tells a generic story that could have happened, and maybe is happening to many young boys and girls. But where the book falters is in its execution. The story is convincing, but some places could have been written better. The killings lose their horrifying thrills after a point of time. Sometimes there is no time for the reader to get acquainted with the victims and therefore feel for the loss of their life - a crucial element in making a book on serial killers chilling and emotionally wounding. The most believable part of the story is the place where the killer himself becomes obsessed with his pursuer, a cliche formula that is the sad truth. Stoking his ego by rating him was a master touch, and shows the insensitivity of some media houses during such important times. A lesson that can never be overdone. The background story of what made the serial killer the man he had become. The title and the summary. Maybe it is the prominently displayed 'soon to be a motion picture' tagline on the cover that did it, or maybe it was the style itself, but the narration did feel like a recollection more than a chronological story. The killings lose their thrill factor after some time. No matter what backstory, the reader can never symphatise with the killer! Raakshas - not as thrilling as the title, but still a terrific book! 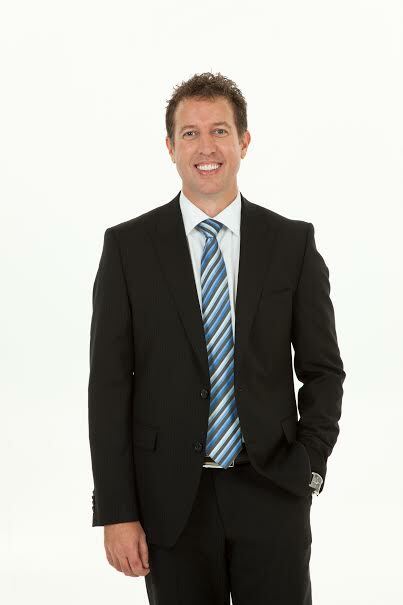 A student political leader at university, he pursued a career in advertising management after acquiring an MBA degree. Later, he switched tracks, first to make commercials for some of the country’s largest brands, and then to write and direct feature films. His films include Chalo America, King of Bollywood and Sikandar. 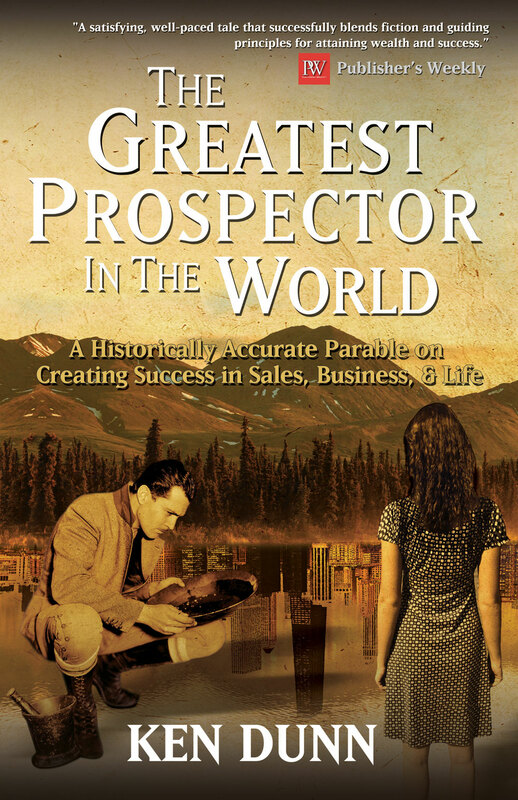 Greatest Prospector in the world is an amazing title that could fit many genres. It could be the biography of one person, it could be a fictional story about someone who had attained glory in the field of prospecting, or it could become a non fiction / self help / business motivation book. The conflict between the book's summary and its genre confused me. While it was clearly given as Non Fiction, the summary also promised a story. Intrigue set in as I opened the book. There are motivators, then there are storytellers. Then there are the rare breed of people who motivate by telling amazing stories that the reader does not even think of the book as a self help / motivation based book. There it just becomes a story that gave them life lessons. The Greatest Prospector in the World attempts to do just that. It tries to weave certain important principles in business success with an engaging story. Laura, a sixteen year old girl is the daughter of a prospector in Alaska. Her father dies in an untimely mud slide and she goes into the care of Uncle Joe, and shifts base to Chicago. Laura's resentment at having been pulled off from her roots and forced into a new community and her baby steps in the new land are fueled with an angry teenage blood. The type of blood that misunderstands even the best opportunities. She had never had a huge opinion on her Uncle Joe, who had left the prospecting in Fairbanks and had instead turned an insurance seller, making his living in that new business. But then, a strange determination to succeed overpowers every other feeling. Laura decides to ask her Uncle Joe for advice on becoming big. He becomes her mentor, guiding her through the nuances of business by giving her 'Six Secrets of Success'. This is the premise the author uses for giving the readers his ideas about success and life lessons that are applicable not only in business but also in other aspects of life. The book tries hard not to be preachy and instead gives the medicine with a sugar coated dosage of a story. While it is really not difficult to learn life lessons from a story (many avid readers have termed books as the tools that led them to the right path and helped them make right decisions at right times) care has to be taken to not be immersed in the story so much that the lessons are missed. The difference in making this book an useful one is 'wanting to use the ideas and win in life' instead of 'wanting Laura to win in life'. The involvement with the tale should be in a simple level - just see it as what it is, a medium to incorporate a few important lessons / ideas. Then the book makes much more sense, and becomes manifold useful. The language is simple (to the level of being understood by pre teens), the plot is a brilliant ploy and the lessons are valuable if grasped and used lightly. Overall, a great book that has presented life lessons in the way Grandma's tales do - mingle an advice with a story, the kids never know they are at the listening end of something they have no patience to hear. Great work by the author. The timeline in which the story is set. The purpose of the book is left to the readers' interpretation. A great book, not to be taken lightly! Contrary to popular belief, innovation does not have to be complicated or time-consuming. It can create a huge return for your company and should always be encouraged. Creativity is an office culture essential to breeding an innovative work environment. When we think of innovative companies, we often think of big names like Apple, Microsoft, etc. However, small businesses can actually innovate more efficiently. This is because they are generally more flexible, so implementing change is easier. First of all, innovation is not exclusive to technology companies. Any type of business can benefit from innovation. Every company has a need for creativity. This is what keeps companies adaptable and relevant to the modern day and age. False! In fact, most businesses have a system for identifying creative ideas. Opportunity breeds innovation and the need for creative solutions. When brainstorming creative ideas, you must evaluate each one and only take action on the best ones. It is also a good idea to obtain input from other departments to get an outside perspective, as well as a well-rounded collection of ideas. Innovation can be fun! Celebrate creativity in the workplace. The more you celebrate thinking outside the box, the more innovative your company will be. 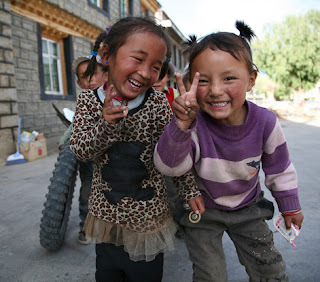 Images of children at work and play in ten different countries including Mongolia, India, Turkey, China, Nepal and Tibet. Documentary photographer Debra Schoenberger aka #girlwithcamera has travelled over 100,000 km to document and share the joy of play in its many forms around the world. Some of her work can be seen at http://www.pixmephotography.wordpress.com. I could trace my love for photography to my father, my hero and the man who I think is my world. He inspired me to do a lot of things and we share many habits, most good, some goofy, and few very laughable ones too. But my attachment to the very art of photography is rivaled perhaps only by his love for a nicely captured photograph. We have spent hours discussing the photos we love, and have taken solo walks (even while on family trips) and gone the extra mile just to try and capture the beauty of the place we are visiting in a photograph. Both of us would have a camera at hand, and as my father taught me the nuances, I would capture one shot after another, marvelling at the original place / thing and its imprint forever etched on to film / digital memory. Therefore, not much persuasion was needed for me to take this book up - my review, for the first time, is dedicated to my father. He is having a happy time browsing through the digital collection of Debra's quality photographs even as I write this! This one is for you, Dad! 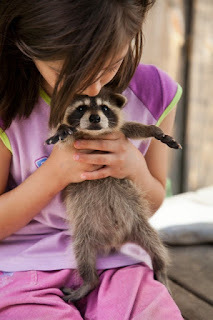 To be a child - is a gift. It is what every human misses as he / she grows up. To see the wondrous beauty of the world from the simple uncomplicated mind of a child is a rare gift only a few people don't shun as they grow up to face the realities of life and the numerous burdens. A child can teach important life lessons - to be happy for no reason, to make friends without expectations, and to celebrate the little things in life. A child's mind is a treasure trove of creativity and imagination and their smiles are one of the most innocent and adorable expressions ever. Capturing the entirety of a child's expression in a photograph is a tough task. But they are one of the most interesting subjects ever, for more reasons than one. To make them stand still and pose is a feat by itself (speaking out of personal experience) and a single emotion does not stay for long on their faces. But if the photographer manages to capture the myriad emotions, the resultant image is worth all the trouble. 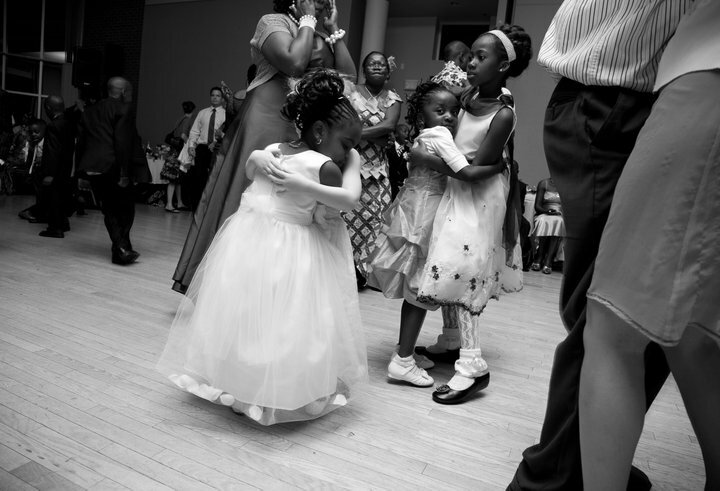 Debra, #girlwithcamera is quite talented in this field and her photographs speak for themselves. Taken in various areas such as China, India and many other beautiful places, each photograph of a child is different, unique and most importantly, appeals to the reader in a different way. I cannot stop marveling at how perfect each shot seemed, no matter whether it was planned or unplanned. The colours, the placement, the subjects and the overall feel is one of wonder, amazement and childlike enthusiasm. Debra's attachment to the art is visible in the way each shot looks professional and casual at the same time. I am no expert on photography, but I do love a good one when I see it. The theme that has been chosen for this book is sure to connect with the readers and it gives them a strange sense of wanderlust. The girl with the camera has captured my heart in the photographs she has taken. Her subjects are beautiful and the various places at which the pictures were taken reflects in the dresses and the overall mood of the photographs. Beauty has no limitation, is in the eye of the beholder (or rather the camera holder) and it can be found in the most unexpected of places. To have been present at these moments and to have had the luck to capture these golden memories in an everlasting form is something most people would not get. This is the kind of book you would not want to miss, and if you do own it, one that you will keep within easy reach, picking favorites as you browse through the pages and envy the author for having traveled far and wide and having had such a gift bestowed upon her! The subjects - each child is beautiful in its own way. The various locations where they have been taken and the feeling that each photograph has its own story. A book that captures some of the most beautiful photographs - and makes you understand why the photographer is the recipient of many awards! RM: Thank you for taking time to answer my questions. I have tried asking a few sensible ones. The regular ones, no doubt, but still things I would like to know! 1. What was your very first memory of photography? 2. Is there a particular photograph that fascinated you enough to take such beautiful lifelike images? My dad had a book of photographs taken by street photographers that he brought back from France in the early 1960’s. Most of the images were by Robert Doisneau. Those black and white images made a very strong impact on the style I now prefer. 3. Are there any people in this field you admire / look up to? 4. What do you usually look for in a photograph – the scene, setting or colours? There are many different disciplines and styles in photography. However, for street or documentary photography I look for different layers in the image that tell a story. The image can be in either black & white or colour, but the depth should be there. 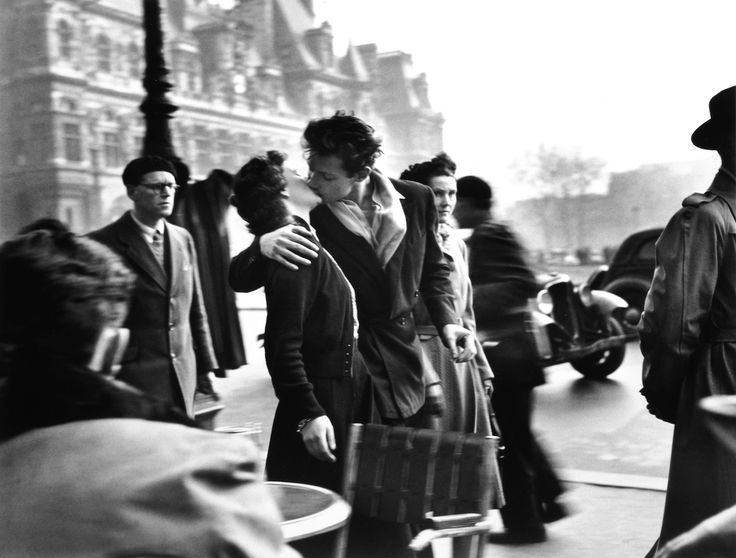 I often see beautiful images on the street and don’t have the right camera to capture the scene at that time. I still treasure these images in my memory. 5. If I am not wrong in mentioning this, I noticed many photos taken in Asian countries. Did these opportunities arise while you were travelling? Or was it the other way round? 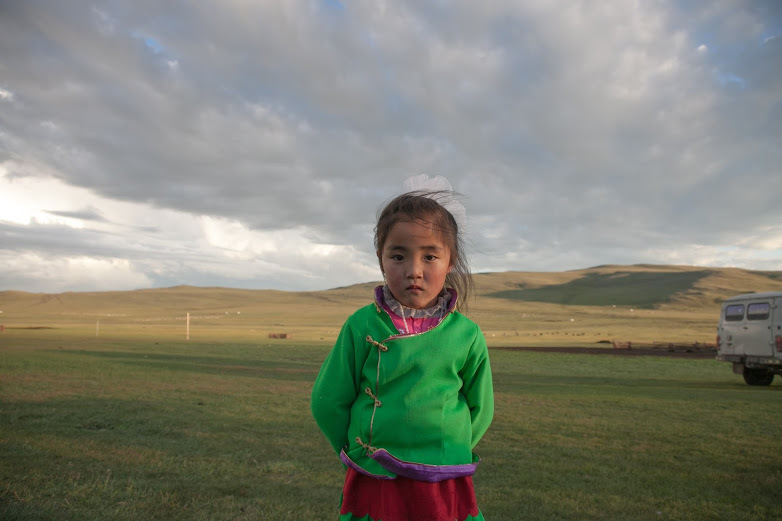 Although I had been to several of these countries before, the initial spark or idea for my book came from the movie “Babies” where one of the families featured lived in Mongolia. A baby was sitting in a small tub next to the open door in the gur and a goat came in and started drinking the bathwater. Well, that tickled my funny bone and at that moment I thought, I have to go there and see this for myself! I chose Nepal, Tibet, India and China because I wanted to represent children from these countries in my book as well. 6. Usually, children are difficult subjects when photographs are concerned (and I say this fondly). How did you manage getting such beautiful candid shots? For the most part it’s being in the right place at the right time. Children are natural clowns and often will act up in front of a camera. Even blind children like to have their picture taken! Sometimes I just put my camera down and play or talk with them. They love to show you things they’ve made or what they like to do. That’s what I find interesting. For this image, I ran around and played with this little Mongolian girl until we were both tired and sweaty. I sat down on the ground with my camera on my knees. She was tired from running as well and came over and stood in front of me. We looked at each other for a bit and then I took the shot. 7. My favourite is the one taken in British Columbia in 1970 (yes, really. It is one of my favourites. The face behind the art! ☺ I mean it!) Do you have any? (I realise how difficult it was to choose hundreds out of thousands, but still, there must be a few that really struck a chord). 8. Can you share any interesting anecdotes about a few pictures? I always believe every photograph has a memory behind it and these many would surely be fodder for many interesting memories and yes, scars in the knees. Care to share a few? One of my favourite sub-genres are barbershop photographs. 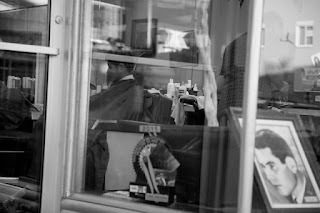 I was walking along the street and saw this young boy in the barber chair. He was staring outside and when he saw me, he shyly looked away. His dad saw me too and smiled at me. I was walking along the street in Rome, Italy and caught this scene as I was crossing the street. I swing the camera over my shoulder (it’s a bit heavy) and shot this. To my astonishment, it turned out. A young boy is with his mom in the front of the bus with the bus driver. With respect to the whacked up knees, I was walking back my tent in Mongolia at 2:00 in the morning. I didn’t bring my headlamp because the moon was bright. It was about 1 km walk and as I was admiring the milky way I tripped on a piece of rock and fell flat on my knees and then bruised my ribs. I had some pretty impressive scabby knees for the next few months! Just add them to the scars I had as a child as I was constantly falling off of things, horses, trees, bicycles - you name it! 9. Could you tell us about the very first time you got accolades for your amazing talent? and I have 8 photographs chosen as Editor’s Favourites by National Geographic. 10. The really ‘funny’ question that is going to make you laugh (hopefully). Have you ever played with a cardboard / paper camera? 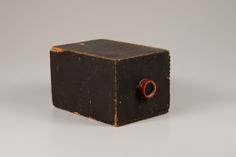 I have used a very old pinhole camera (one of the first ever made). RM I sincerely wish this book was actually the size of a coffee table! Loved each and every photograph of it and I really want to see every single one of your beautiful shots. Thank you very much once again for giving me a chance to have a book I will treasure forever. HOW I GOT THIS BOOK: I thank Priyanka Roy Banerjee of Writersmelon for this review copy. 'Le Siffleur' and his magic. Vampires, guardians' adventures at night. Coffee, love and a new couple. Imli and her mother in a complex web of darkness. A small town girl confused about virginity. Michael Jaikishen and his writing endeavours. Child adoption by a gay couple. Mahabharat - a modern tale in an epic form. The spine-chilling tale of Tina and Uncle Joe. 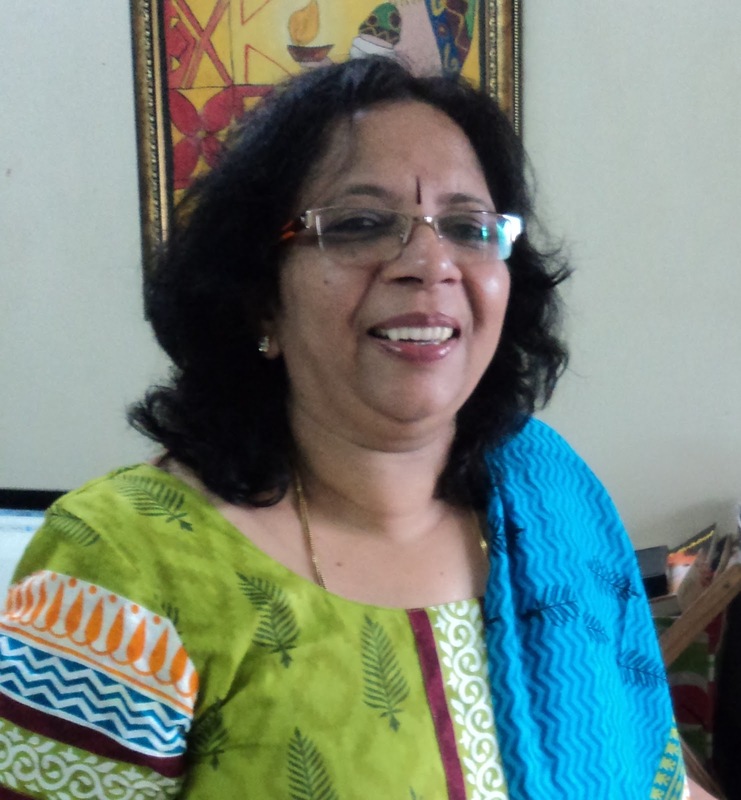 A juicy love story by our guest author Sujata Parashar. These and many other unputdownable stories in this book. Some books have covers. And some books have exquisite pieces of art covering the contents. Some books have simple, plain covers that might not give any indication of the great content inside. And then there are books that give the exact hint about the nature and style of story(ies) they might contain. These books are also complemented by simply beautiful covers and a nice title that would intrigue and interest the reader. 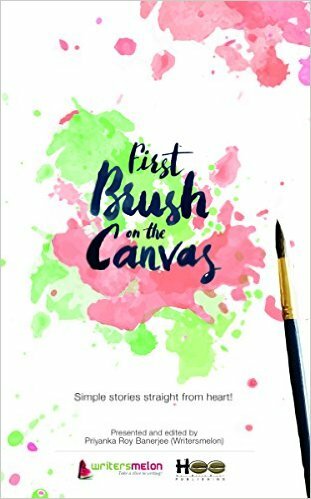 First Brush on The Canvas is a collection of 14 stories from 3 major genres - romance, comedy and thriller. The stories are the winning entries from Melonade, a nationwide writing competition conducted by Writersmelon. The foreword and the reminder about why the first of anything is always a special memory attracted me. The 14 stories of this anthology, divided into 3 major genres each have a distinct, unique flavour. My second favorite section of the book. Three out of five stories in this genre made their mark in my mind. The pieces: For being a story that had a nice non twist. The ending reflected the reality of life in a subtle manner. Popping the Cherry: The last paragraph became the saving grace of the story which dealt with confused teens caving in to peer pressure. The set of three stories that has two of my favorites. Kudos to the authors for mingling darkness with humour. Godliness: I read and reread the last line more than five times before the intended meaning finally sunk in. Veering on the edge of the psychotic, the last line of the story made me jump out of my skin. Though I do think this does not belong in the comedy genre, the story as a standalone without gender classifications succeeded in making me take note of it. Writer's Block: Good story about a different concept and made me reflect more than I normally would have. The overall effect was to make me wonder how things will most often not go as planned and might still give the desired result. No mention about the result being good or bad. By the time I read the genre name, a sense of anticipation stole over me. I began reading the book much more eagerly, expecting a lot. But something fell flat, and the last five stories left me feeling wanting and incomplete. Tina: My most (and only) favorite story of this genre. The story is one of the best, as far as thrillers go, and I was very surprised by what extent Tina would go to keep Uncle Joe with her. The story held me in place from the first line and I averted my eyes only after I had finished reading the last line. Brilliantly crafted and though it has a few flaws, sent a chill down my spine. And that was the intended purpose of this genre, wasn't it? Anthologies are difficult to craft because each story had to hold the reader's interest and impress them. Even if written by the same author, the collection of short stories might not all be great. Some might fail to meet the reader's expectation and sometimes even the author's ideas. Novels have it better in a way because they follow a single or sometimes two or three storylines which merge together and therefore making the reader concentrate on them. They also have a continuity and much larger canvas to make the character sketch and get the reader engrossed into the book. But short stories have to do all of these within a short span of time, the only saving grace being the permission to have an abstract ending. The language and construction of the stories are above par and it shows that they are the chosen ones among the entries of a competition. But some of the stories fail to make much of an impression. The plots and the writing are unique and refreshing. The anthology is good enough as a travel companion if you are on the look out for casual stories that reflect the ordinary, extraordinary and sometimes the bizzare. The genre classifications are not perfect, with each tale veering slightly from the genre it is supposed to belong to. Overall, a good anthology that shows promise. A book that shows the talents of many promising authors! 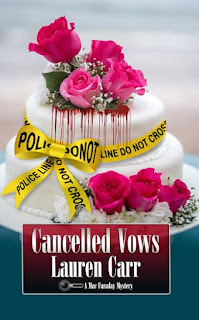 In Cancelled Vows, David O’Callghan discovers, only days before his wedding, he has another wife he must divorce first. He doesn’t even remember marrying anyone. How realistic do you feel this scenario could be? I will confess that I do not know anyone who got married without knowing it. Actually, the premise is not really that original. In the nineties, Friends did an episode in which Ross and Rachel got drunk and ended up married in Las Vegas. In Castle, Kate discovers she has been married many years as a result of a trip to Las Vegas back in her wild college days. In Cancelled Vows, David O’Callaghan explains that in addition to being drunk at the time, he did not think the wedding ceremony was real because he and his bride had gotten married at a drive-thru and the nuptials were part of a value meal that included deluxe burgers and wimpy fries. He had dismissed the wedding as part of a Las Vegas tourist experience—not a legally binding ceremony. While this video from YouTube doesn’t include a value meal with the ceremony, it will give readers an idea of how a couple of drunk tourists may dismiss the whole experience as not a real wedding. Truth is Stranger than Fiction. Therefore, Never Discount Any Premise as Being Totally Unrealistic. A few years ago, a friend of mine published her first book, which was a romantic suspense. At one point in the storyline, a homicidal maniac walks out of the mental hospital and goes on a murder spree. While the book received wonderful reviews and decent sales, some readers declared it unbelievable—claiming that it is impossible for a mental patient with a murderous history to simply walk out of a mental hospital the way the author wrote it. However … this author had the last laugh last year (though it was a tragic last laugh) when less than an hour from where she lived, a patient with a murderous history simply walked out of the mental hospital where he was locked up and went on a murder spree—in the same manner that she had written in her book five years earlier! 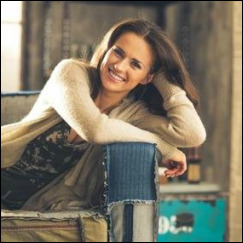 In January 2015, when Three Days to Forever was released, a few readers, not reviewers, but readers, declared that certain aspects of the plot and storyline were too fantastic. One reviewer, and a reader or two, could not believe the love at first sight storyline involving Jessica Faraday (Mac’s daughter) and Murphy Thornton (Joshua’s son.) While it was a nice fantasy, it would never happen. However, there have been cases of love at first sight. In an article published by the Wall Street Journal on April 20, 2015 (four months after the release of Three Days to Forever), some 41% of men, versus 29% of women, say they have experienced love at first sight. In the opening of Shades of Murder, Gnarly, Mac’s German shepherd, plays the troll on the bridge—refusing to let the package delivery truck by until the driver paid the toll in the form of a dog biscuit. The same editor who has a problem with the premise of Cancelled Vows had the same issue with that scene. However, that whole scene is based on a white husky who lives in my very neighborhood. Sarge, a white husky, will sit down in the middle road when he hears the UPS or FedEx truck coming and refuse to move until they give him a biscuit. ü Like, a tornado would not really carry a whole house to a faraway land called Oz. Even so, how could a girl and her little dog survive such an experience in one piece? ü What if George Lucas decided his idea of an intergalactic rebellion taking place a long time ago in a galaxy far, far away was just too fanciful for movie goers to buy? I mean, life in another galaxy and Jedis? Really? ü And how can anyone find it a remotely realistic premise that a whole town could be taken over by vampires? Stephen King didn’t. All of these authors asked, “What if …” and then went from there—taking those readers willing to release their firm grip on reality on a roller coaster adventure. What if years ago, David went to Las Vegas with a girlfriend and they got drunk, went through a drive-thru wedding chapel which offered burgers and wimpy fries in addition to a quickie nuptial which neither of them took seriously? What if, days before David’s wedding, he finds out this wedding ceremony was real and now he, Mac, and Gnarly need to go to New York to get the marriage dissolved? And what if, while in New York, murder sends David on the run—threatening to unhinge all of his wedding plans? 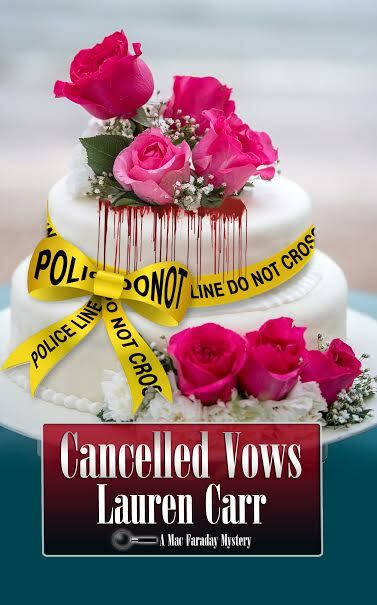 I invite readers longing to escape reality to join me in this latest Mac Faraday Mystery—Cancelled Vows. HOW I GOT THIS BOOK: I thank Laura Fabiani of iRead tours for this review copy! Police Chief David O’Callaghan and Chelsea Adams’ wedding day is fast approaching. Unfortunately, at the last minute, David discovers that there is one small problem to be taken care of before he can walk down the aisle—divorce his first wife! The cover is one of the most fitting images for a book and its story. The horrific wedding cake with a police crime scene tape reflects very well on the story. The summary, if anything, provided more intrigue. Having already been introduced to the writer's other works, I had an idea of what to expect. The book was a thrilling ride overall. David O Callaghan is about to get married. But he cannot because bigamy is not allowed by the law. It would be helpful if David remembers getting married, but he does not have any memory of saying 'I do'. But eventually, David finds the name of his 'wife' and goes to New York to formally divorce her so he can marry Chelsea. For her part, Chelsea refuses to talk to David after feeling that what he had done is cheating. All through the book, I tried really hard to be sympathetic towards David but his uncertainty over everything starting from his memory of being married to not be clear about which women he loved enough to make a commitment, the character lost the respect and didn't make me root for him when he was on a 'run from the law'. To annul the wedding that no one remembered had taken place (and the reader in me wondered even after the book was finished. Weddings were really so easy? Seriously? The proper wedding David wanted to have with Chelsea could be stopped by a casual wedding no one - not even the bride and groom - knew about?) David and his half brother, retired homicide detective Mac Faraday go to New York. There they meet David's 'wife' and while David falters in his resolve to get his divorce papers signed, saying 'he cannot cut contacts with all of his past friends' (yeah, right) and makes me infinitely irritated in the process, Mac Faraday is stubborn in his goal of getting the divorce over and done with so he could witness the wedding for which he was chosen as the best man. The twist in the tale comes at that place in New York where the short trip to get some papers signed turns into a shocker when the corpse of a famous missing writer is found in a respectable office, hidden beneath layer of plaster in the wall. From there, the race intensifies and the book proves how and why it is a good thriller. The 'race against time' as Mac Faraday tries to get David to his wedding on time is interesting and there is not one dull moment all through. The reason why Gnarly had to accompany Mac and David in flight is a laugh worthy, well thought out and made me snigger in amusement. The Dog stole my heart in the first few scenes, starting with making Mac Faraday almost pull out his hair in frustration and then constantly whining to get to the heart of the mystery behind the wall. I liked the language, the dry humour and the scene placement all through the book. The characters were well written and the suspense was maintained without resorting to amateurish tricks. The book was thrilling enough to hold my attention so much that I finished it in two sittings. Overall, a great book for mystery buffs. If you are a fan of Carr's writing, you will definitely enjoy this one! Gnarly stole my heart within the first few pages. The introduction of the character of Ali Hudson - something in those simple words told me the dramatic twists that will come thereafter in the book. The book maintaining the suspense well and having engrossing writing. The uncertainty and immaturity over David's character is sometimes irking - mostly about his inability to make his mind considering something as important as marriage and who he loves. Go for this one if you are a Mac Faraday fan! Or if you love Lauren Carr. A great book on the whole. 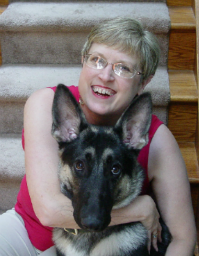 Lauren is also the author of the Mac Faraday Mysteries, which takes place in Deep Creek Lake, Maryland. It’s Murder, My Son, Old Loves Die Hard, and Shades of Murder, and Blast from the Past have all been getting rave reviews from readers and reviewers. The Murders at Astaire Castle is the fifth installment in the Mac Faraday Mystery series. The next installment in the Mac Faraday series, The Lady Who Cried Murder will be released in October of this year. Released September 2012, Dead on Ice introduced a new series entitled Lovers in Crime, which features prosecutor Joshua Thornton with homicide detective Cameron Gates. The second installment in the Lovers in Crime, Real Murder, series will be out in 2014.